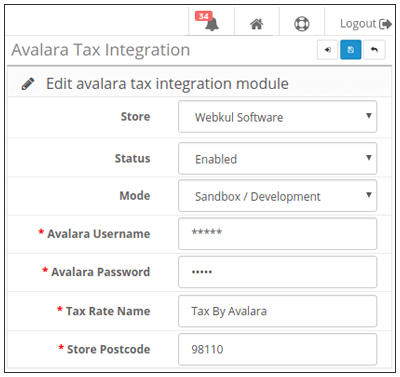 OpenCart Avalara Tax Manager: Opencart Avalara module will allow the admin to set the tax details in the Opencart store automatically from Avalara website. With this module, the admin can avail benefits to see real-time updates of the taxes as per Avalara. 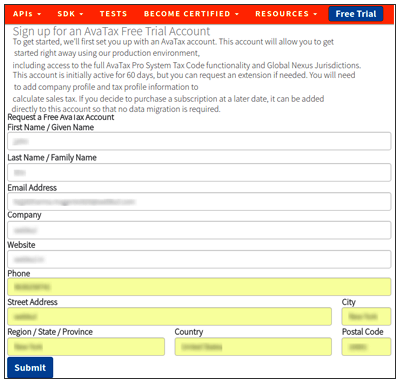 Avalara is an automated tax software which provides a solution for many taxes including sales and use, VAT, excise, communications, and others.This is more effective and efficient way to manage tax as everything here is automated any change in the Government tax policies are quickly reflected in your module. The admin can add the name of the tax. The tax will be created automatically through API of Avalara. It will create geo zones for all zones automatically. Tax rates and tax class can also be created automatically. The customer can see the real-time tax as per Avalara taxes. Store- This is the name of the store for which you need to configure the tax rule. Status-This needs to enable in order to use the Tax rate. Mode- Whether you need to use it on Live or in Sandbox mode. Avalara Username- The username of Admin’s Avalara Account. Avalara Password- The password for Admin’s Avalara Account. Tax Rate Name- The name of the Tax rate for Opencart Account. Store Postcode- The Postal code of the store. The admin can create the account with Avalara, henceforth the credentials received can be entered in configurations. Admin will be receiving two emails on behalf of Avalara with the information of new account and reset the password. Admin can then add the company details, tax collection details and can finally activate the company. 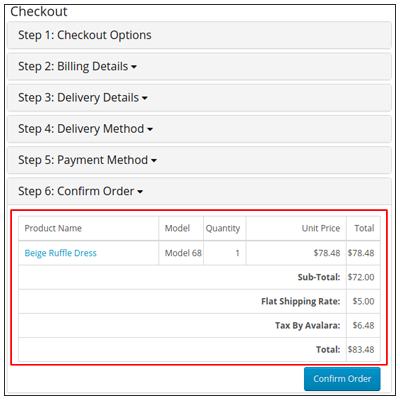 The customer can see the tax at the time of shopping cart and checkout with regard to the addresses (pin code is responsible for tax calculation). The tax appears as an addition to the total cost of the product. 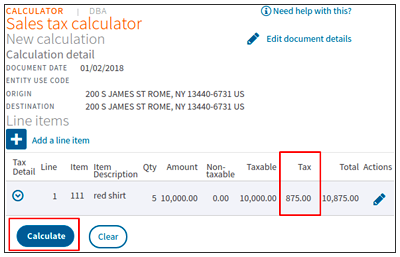 Did you buy OpenCart Avalara Tax Manager?